Flowers and butterflies is a page all about you! 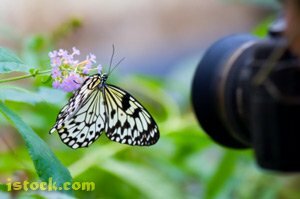 Show off your most amazing butterfly and flower pictures, tell your stories about butterfly gardening and, share info and tips regarding interesting topics about butterflies and flowers. You can also answer other posters' questions or give feedback on their submissions. Check this page often or sign up for our free site updates in the lefthand column to find out first about contests posted on this page! Do you have a Monarch Butterfly Picture that puts all your others to shame? Share it here and tell us the story behind your monarch masterpiece. Have you ever had an unfortunate accident raising butterflies? Tell us your cautionary tale and help save others from making the same mistakes! Click here to share your best garden flower for attracting butterflies, and what kind of winged-wonders it brings to your garden doorstep. Check out our original butterfly videos created for both your education and enjoyment. Topics include butterfly gardening and raising butterflies. We also take your suggestions.